Since their formation 15 years ago, The Dollyrots have played over a thousand shows, toured the World on their own and with some of their idols, and released six studio albums, several EPs, singles, splits, and a live CD/DVD. The last 3 releases have peaked in the Top 20 of Billboard’s Heatseeker’s chart completely independently and DIY. After a debut on Lookout! Records and two efforts through Joan Jett’s Blackheart Records the band decided to go completely independent. The new Whiplash Splash is out now! Whiplash Splash is the Dollyrots’ sixth studio LP, and their first since 2013’s Barefoot and Pregnant. And after touring with their rat Snuffy, their dog Quito, and their son River, it also marks the addition of their new daughter Daisy to their entourage. “We only had three months to write, record, and finish the album between the launch of our PledgeMusic campaign and the birth of our daughter,” says guitarist Luis Cabezas. “Parenthood doesn’t afford us the time to overthink things anymore. We tracked everything at home and went with our first instincts when it came to the music and lyrics.” The result is an album that’s focused, sharp, and completely fan-funded. 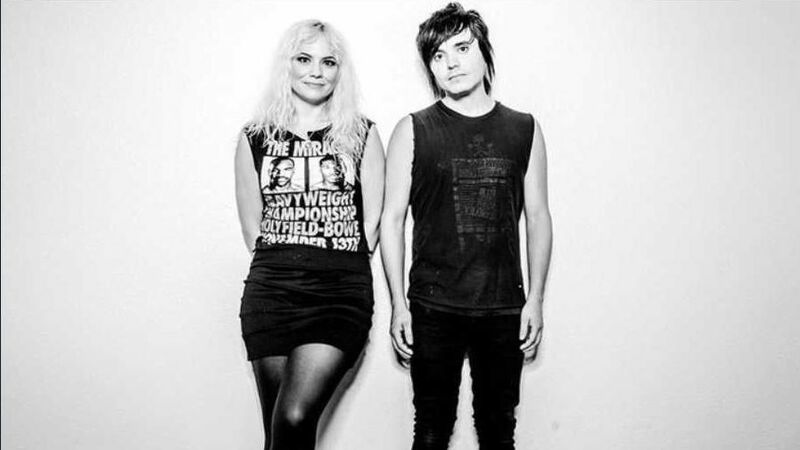 During their 16-year career, the Dollyrots have released albums on labels like Blackheart and Lookout!, but have successfully crowdfunded their last few releases thanks to their loyal (and generous) fans. Whiplash Splash is the band’s fifth collaboration with producer John Fields, known for his work with All Time Low, Switchfoot, Andrew W.K., and so many others.